Battle at the Bay II - The Rematch! The fight against cancer continues! The night you have all been waiting for, Battle at the Bay II, is less than 2 short weeks away when Boston Irish put our best foot forward for a great cause. While 36 or so brave men and women have volunteered to battle it out in the ring, the bigger battle is against the scourge of cancer. The first round of the White Collar Boxing fundraising night took place last year, where people with little or no boxing experience dedicated themselves for three months to train in various area gyms, and went toe to toe for three rounds to raise money for cancer research. This year the the fighters have again been going through training at various gyms in the Boston area to get into shape and learn some of the finer skills of the sport, and are ready to put on an exhibition of the craft just over two weeks from now. Buncrana Co. Donegal native Mark Porter picked up on the idea after attending a similar event in aid of a GAA club while on a trip back to Ireland and was impressed by the large crowd that turned up. Mark, a cancer survivor, had run marathons and triathalons over the years to help raise funds for cancer research with the goal that others also would have the chance at a cure, and this was something different and worth a try. So, along with a handful of friends, the group decided to give it a go. The Irish community is second to none when it comes to rallying around a worthy cause, and the response was incredible with people willing to help in any way possible. In a way it seems like a perfect storm, putting together the long tradition of Irish boxers in the greater Boston area and an enthusiasm to support the search for a cure to a disease that has affected everyone in one way or another. There was almost $60,000 raised on the night, which was supported by a huge crowd of over 2,000. 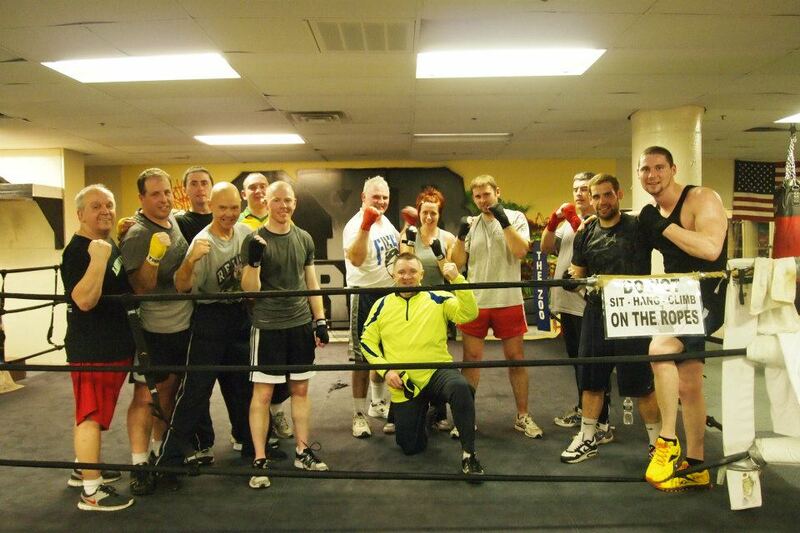 There are several of the volunteer boxers whose names are readily recognizable from Boston GAA circles. Donegal man Brian Kelly, Armagh’s Gareth O’Neill, and Corkman Kenny O’Regan, along with Benny Howley and Pauric McDonagh, will be among the 36 or so who volunteered their time and effort, as well as seeking sponsorship, for the cause. One of the headline exhibition bouts underlines the Irish boxing tradition in Boston and Massachusetts. Former professionals Sean Mannion and Mike Culbert will face each other in the ring as part of the exhibition. Born in Carrickfergus, County Antrim, Culbert came to the United States at a young age and his professional career spans 18 years. Roberto Duran is included on his list of opponents on his way to a 36-4 professional record. Mannion is still a celebrated name in the Boston area and the Rosmuc Co. Galway native famously faught Mike McCallum for the World Light Middleweight title at Madison Square Garden in 1984. Also present to help the cause will be state representaive Marty Walsh. Walsh, a Dorchester native is a cancer survivor himself and is the son of immigrants from Galway. With Tom Menino not seeking re-election to the Mayor’s office, Walsh is likely to trow his name into the hat – the next Mayor of Boston? Framingham’s Danny O’Connor who is pursuing a shot at the light welterweight title is also lending support to the cause and will be there. O’Connor is a two time national amateur champion and has worked his way in to the top 15 in the world boxing rankings. Battle at the Bay II takes place Saturday April 13 at the Dorchester Armory, 70 Victory Rd., Dorchester Ma. Doors open at 6:30 and the first bout is at 7:00. There will be 18 bouts each 3 rounds of 1.5 minutes each. There will also be a cash bar. Suggested donation at the door is $25. Also, check out the Facebook page, Battle at the Bay # 2. It was a wonderful occasion a year ago and all indications are that 2013 will prove to be another great night. 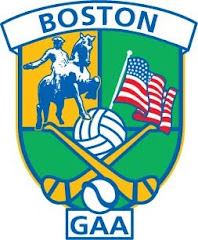 The last weekend of August marks the end of the GAA season in Boston, and what a year 2012 was. High standards, close games, and finals that lived up to the potential of the games that came before them. 2012 is in the rear view mirror now, but hardly seems like it ended 6 months ago. It is hard to believe that the long break, which represents a rest from the rigors of working on the board or on the club committee, is already over and we are on the brink of the 2013 fray. Clubs have held their AGMs, the board has already had the annual convention and continuation meeting, and we are but 6 weeks, give or take, from the beginning of this year's games at the Irish Cultural Center. Many clubs will begin training outdoors in the next week or two. Having spent time since the new year playing indoor soccer to get the blood pumping again, St. Patricks Day serves as the marker for weather that allows for training outdoors and a chance to tread the sod with the boots on and recover from the strains of some physical training exercises with deep breaths of the dark, cool early spring Boston air. It is also a time when rumor abounds about which clubs will be strong, which are struggling, who is in shape, who is not looking after themselves, and what clubs are "going all out" this year. There is already one big change for 2013. There will be an intermediate competition. Details have yet to be worked out as to what format the competition will take. The senior championship will also be affected as it is looking like instead of the 11 team championship, it will be made up of the top 8 teams from the 2012 league table. All but 3 of the 2012 board officers were returned to their positions. Paul Ryan, who had put in 3 years of service as Registrar, John McDevitt who had served as Treasurer, and 2012 Trustee Laura Burns, did not return for another year. Fr. Tom Burke’s Kevin Mooney, who comes on to the board for the first time, stepped up to take the Registrar position. Francie Foster, who had served as assistant Treasurer in 2012, was promoted to Treasurer. Bernie Reilly filled the position of assistant Treasurer. Caroline Heraty and Gerry Prior accepted Trustee positions for 2013. Trustees – Gerry Prior, Eddie Feeley, Caroline Heraty.